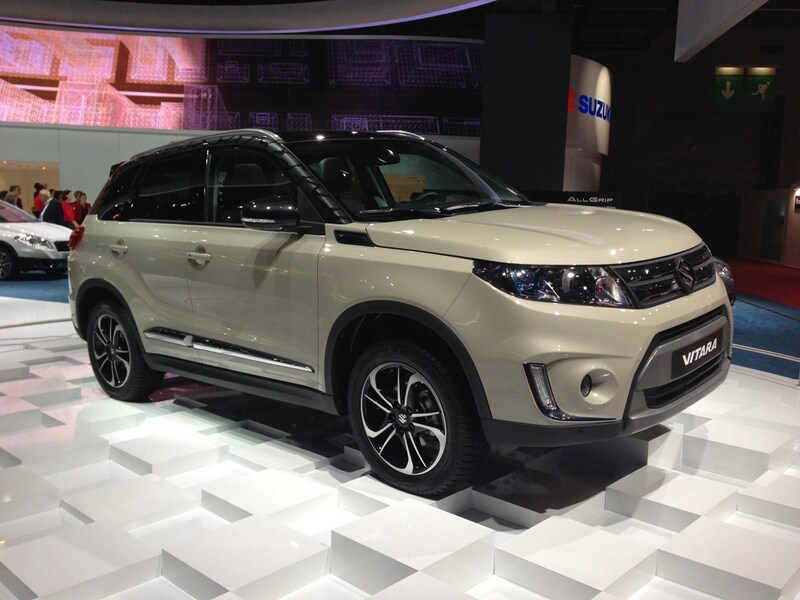 The Suzuki stand was buzzing with the reveal of an all-new Vitara. Following the previous Vitara - which was launched in 1988 and went off sale in 2000 - the new model is based on the iV-4 concept seen at last year's Frankfurt Motor Show. Set to go on sale next spring, the new car will get an optional four-wheel drive system and a choice of petrol or diesel engines promising "outstanding" fuel economy and emissions. This translates to CO2 emissions of 123g/km for the petrol engine with manual gearbox and two-wheel drive. The automatic pushes this up to 127g/km. Adding four-wheel drive increases it to 134g/km and 138g/km respectively. Diesel power is also an option - emissions as low as 109g/km have been mooted in this case but nothing definite at this time. The four-wheel drive system has various 'modes' depending upon the terrain you're driving on, while a number of safety systems including radar-guided cruise control and low-speed emergency braking are also on offer. Finally, the two-stage panoramic sunroof installed on the SX4 S-Cross makes its way to the Vitara too.